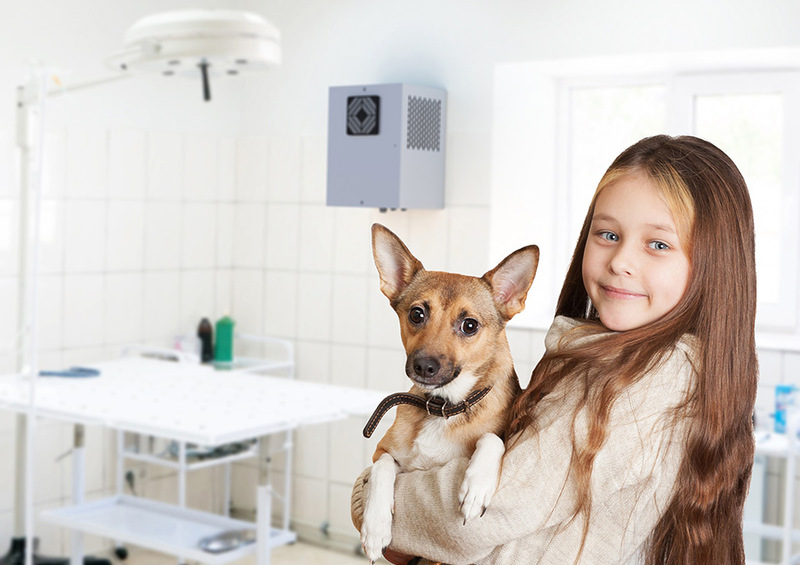 Cube and Minimate are cold-plasma air sanitisation devices; they inactivate bacteria, viruses, moulds, chemical pollutants and odours present in the air and on surfaces. They are medical devices and they work non-stop even while surgical and sanitary activities are being carried out. In addition to the sanitising effect, they also generate ideal environmental conditions to foster wellbeing, improve respiratory functions and increase oxygen intake, thus facilitating recovery. 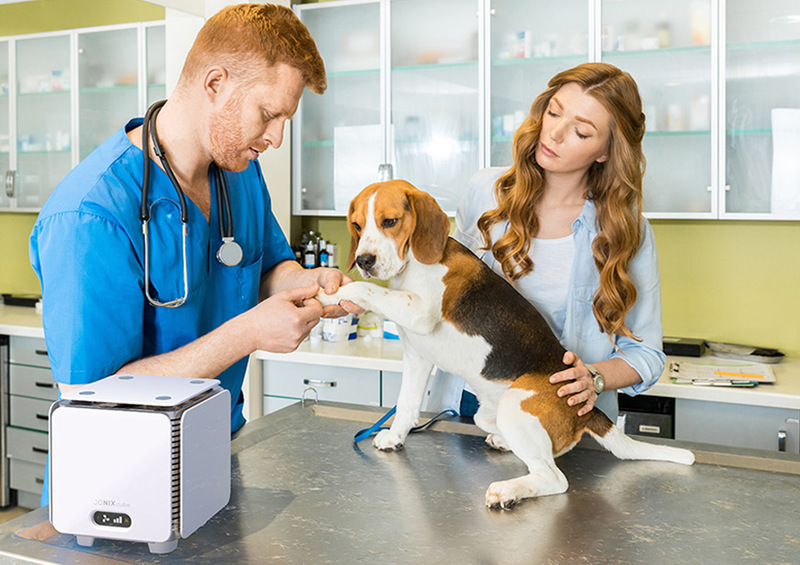 In waiting rooms: to prevent infections between animals and eliminate odours. In quarantine or infectious areas: to prevent contamination and ensure animal wellbeing. In surgeries: to ensure the best hygienic conditions to medical personnel and animals. In post-surgery areas: to improve animal wellbeing and promote fast recovery. In operating rooms: to inactivate microorganisms in the air thus limiting the spread of airborne diseases; to inactivate bacterial endotoxins and toxins produced by metabolic processes; to filter airborne particles in an absolute way. In quarantine or infectious areas: to prevent contamination and ensure animal wellbeing. In Surgeries: to ensure best hygienic conditions to medical personnel and animals. In every room to sanitise the air, prevent the spreading of disease, improve comfort, reduce stress caused by a closed environment, improve oxygen uptake thus promoting the fast recovery of animals. 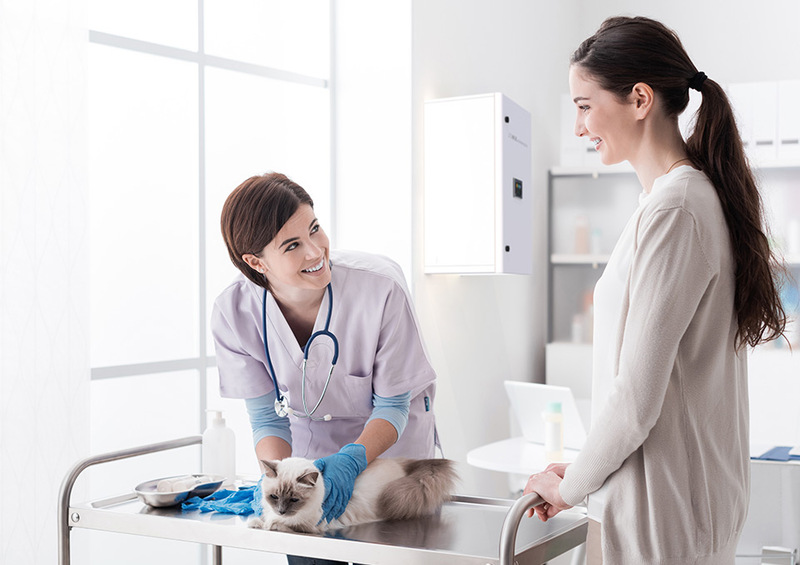 In waiting rooms: to prevent infections between animals and eliminate odours. In post-surgery areas: to improve animal wellbeing and promote fast recovery.n In quarantine or infectious areas: to prevent contamination and ensure animal wellbeing. In Surgeries: to ensure the best hygienic conditions to medical personnel and animals. In every room to eliminate odours. Air distribution ducts to eliminate and prevent the formation of microorganisms, mould and bacteria on the inner surface of the ducts. Hydronic terminal unit: it sanitises the air that flows through; it decontaminates the inner walls of the units, the filters and the cooling coils; it prevents the formation of legionella in the condensation collection tray.